The Paddock Land where the Community Orchard is situated was purchased by the Parish Council in 2004. The 6,000sq.m. site was a piece of “option land” previously owned by the health authority and passed onto Bellway Homes as part of the development site. Following a grant of £4,850 from Awards for All, local children planted over 150 trees creating the community orchard. fruit from it, please place a ribbon around your tree. These will be removed each year at the end of the season so will need to be replaced on an annual basis. Residents are welcome to pick the fruit from any tree that does not have a ribbon around it. In fact, we would like to encourage this to be done as some years, there is so much fruit on the trees that the branches get a bit too weighed down! There is a mixture of apple trees, pear trees and plum trees in the Orchard. Whilst there is no room for further planting in the Orchard, as families move away from the Village there will be the possibility of adopting trees previously owned by the children of these families. If you would like to adopt a tree please contact the Parish Clerk. 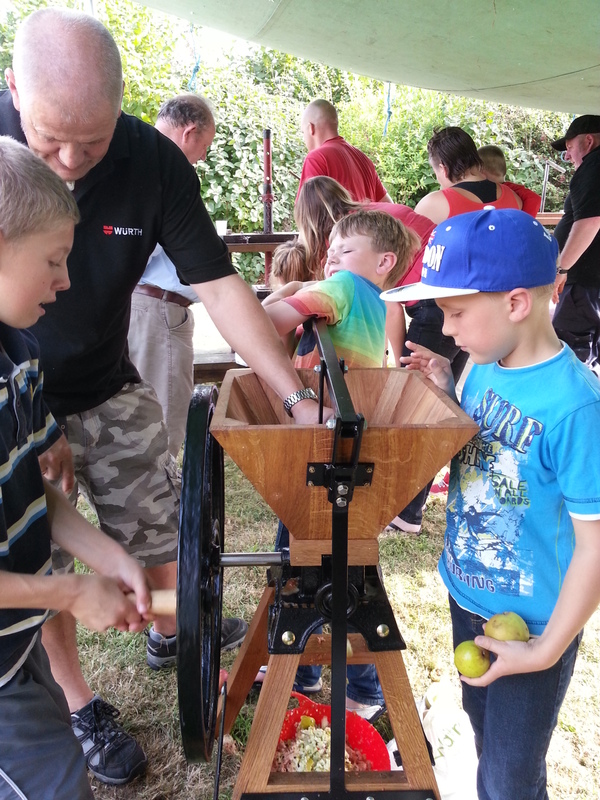 In September 2014 we held our first Apple Pressing Day – a great day was enjoyed by many families and we now make it an annual event. 2018 Apple pressing Day is on Sunday 30th September 10am to 2pm.